No Holiday Cheer on the Cup? There may just be fewer Starbucks lovers this holiday season. The company debuted its festive red cups at the beginning of November to help coffee admirers officially gear up for Christmas. While the Internet was quick to rejoice in the seasonal change, some are now sharing why they don't find the cups so merry after all. 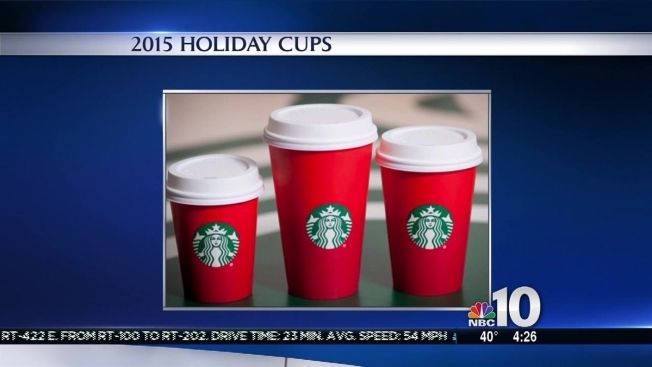 Late last week, former Arizona pastor Joshua Feuerstein discovered that Starbucks removed "Christmas" from the cups. So, he decided to start a movement asking consumers to state their names as "Merry Christmas." "So guess what, Starbucks? I tricked you into putting Merry Christmas on your cup," he wrote in a Facebook video that has been viewed close to 11 million times. "I'm challenging all great Americans and Christians across this great nation… let’s start a movement." While the video has been shared more than 410,000 and #MerryChristmasStarbucks trended on Facebook throughout the weekend, some were quick to defend the coffee company for its cups. "I work at Starbucks and there hasn't been anything innately Christmas on the cups in years," barista Aaron Dean commented on the video. "Sure there have been snowflakes, scarves, and snowmen, but they haven't said the word Christmas on them since I've worked here. We even have a Christmas blend coffee." "In response to the video, our core values as a company is to create a culture of belonging, inclusion and diversity. Each year during the holidays we aim to bring our customers an experience that inspires the spirit of the season and we will continue to embrace and welcome customers from all backgrounds and religions in our stores around the world,” a Starbucks spokesperson said to E! News. Starbucks' full holiday season menu including the return of Starbucks Christmas Blend Vintage will be available in stores Tuesday.